After Grotto on Monday, then Pronto for lunch, one would not expect Italian again for late night eats right? Well guess again. 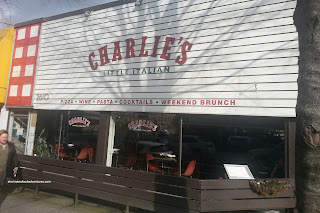 I can never get enough of pasta, so we were at it again at Charlie's Little Italian right next to the Cascade Room. Formerly Habit, the place has been marginally revamped in terms of decor, but naturally the menu now has different focus. As such, we got something from every section other than the entrees (maybe next time). 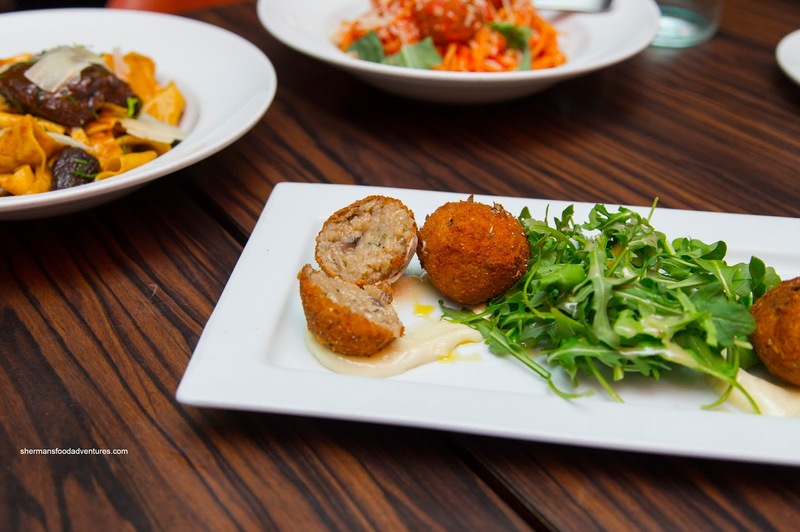 We started with the Taleggio & Porcini Arancini made with porcini and portobello mushrooms, thyme, taleggio cheese and truffle aioli served with arugula. These were nicely sized where the deep-fry rendered them hot and crunchy on the outside. Inside, the rice was a touch soft, but that didn't matter so much as they were pretty tasty. With plenty mushroom goodness with a touch of truffle oil, these were cheesy and impactful. 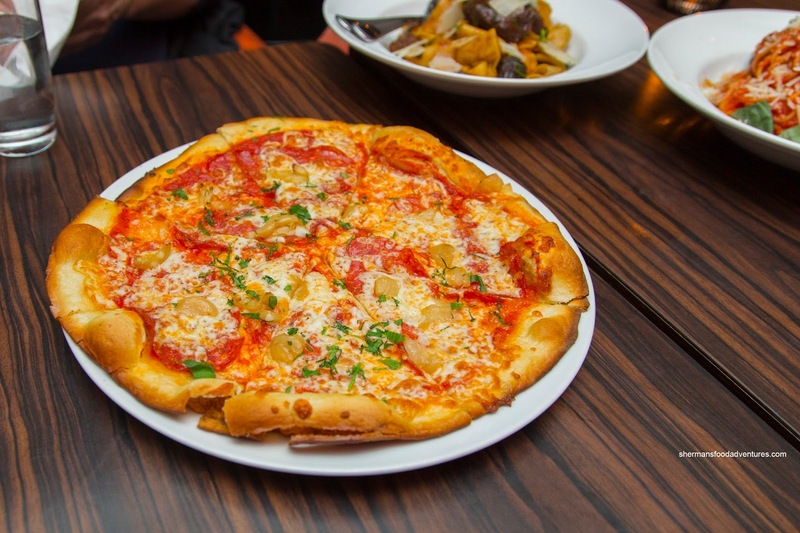 We also got the Soppresetta Pizza with spicy soppresetta salami, confit garlic, tomato sauce and mozzarella. This was notably spicy with a lingering heat. It was further enhanced by the tart tomato sauce. There was enough cheese to balance things off while the garlic was mostly in the background. I though the crust was rather crunchy on the edges while progressively becoming softer towards the centre. We ended up with 2 pastas including the Pork Cheek Pappardelle. 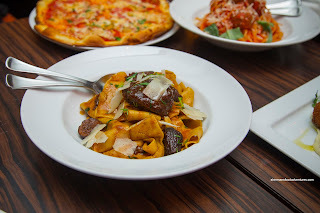 It consisted of Marsala & fig-braised pork cheeks, house made pappardelle, braising jus and grana padano. I found the pasta sheets to be slightly soft, but that is par for the course when we are dealing with fresh pasta. As much as the sauce was silky from the gelatin content, it was in need of some salt. By no means was it bland, but it lacked pop. The pork cheeks themselves were surprisingly dry and a touch chewy. 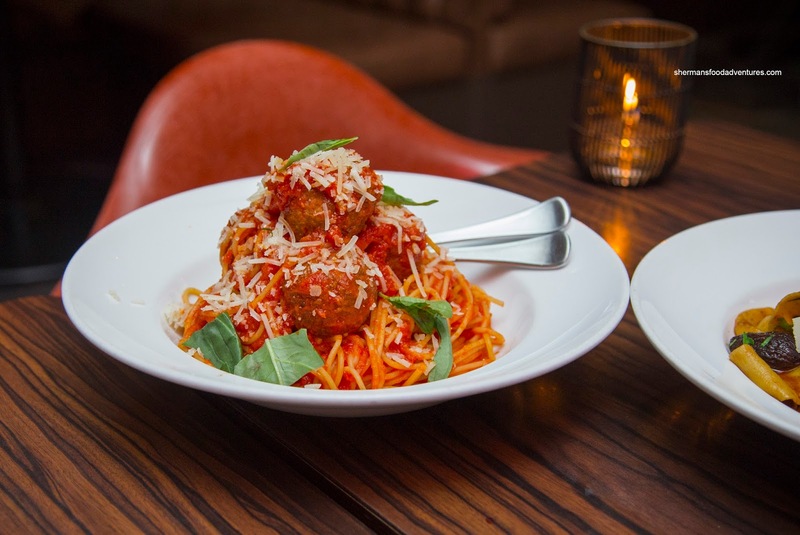 Piled high, the Spaghetti and Meatballs was a decent portion. We found the pasta to be firmly al dente while sauced with tart and fresh-tasting tomatoes. On the other hand, I would've like to see a more balanced sauce as this one was rather acidic. As for the firm meatballs, they exhibited a good inherent flavour and a good amount of moisture. Overall, we thought the food at Charlie's was decent, especially for late night eats. Portions were more than acceptable, especially for the price.